Persistence and Speed is the Name of the Game. An inside look at how to be the first agent to contact an internet lead. The importance of being quick and following up with your prospects as well as Valuable, time-saving solutions for insurance agents. Let's just focus on selling insurance. If we were able to set everything else aside and focus only on selling insurance, what would you need? The first thing you need is a solid pipeline of prospects. Without leads, you cannot sell effectively. We found that the most cost effective way to find prospects is through the internet. Most agents have some type of online marketing plan – using websites, social media and internet lead generation companies. Once the leads start coming in, everyone knows all you need to do is call them and sell them. However, as many of you know, it's not that simple. Sometimes internet generated leads need to be contacted multiple times. Sometimes the quality of the lead is not good and time is wasted on calling a prospect who really isn't interested. Without a set process or some type of lead management software, this will be a constant uphill battle for you. Wouldn't it be great to have something easier and streamlined for you? We're here to help you say goodbye to the days of getting your leads via email, printing them off and then filing them away. According to a study by MIT, an agent is 78% more likely to make a sale from an internet generated lead if you are the first agent to speak with that customer. This is outstanding for agents! Can you imagine what this number could do for your agency? 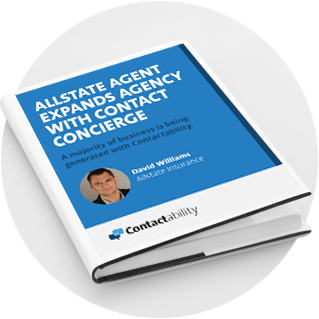 With Contactability, we can automate the dialing for all of your leads and transfer them directly to your agency upon contact. We know situations arise, fires need to be put out and customers need some hand holding. It is simply not good enough to receive an email or text to notify you of a new lead when you are taking care of these issues because it may take ten, fifteen or even twenty minutes for you to get a chance to call that lead. This lead is now no longer new or fresh! It doesn't matter how great your product is or how competitive your prices are if you are not the first agent to call every lead you get. 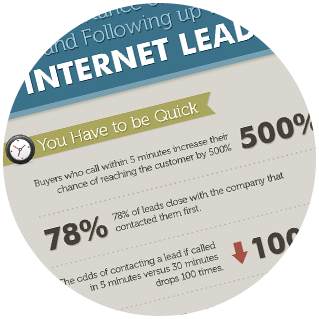 The odds of contacting a lead if called in 5 minutes versus 30 minutes drop 100 times. Speed is important with leads because the longer you wait to call, the chances of closing that lead drops with each second. Most internet leads require up to 5 additional follow-ups in order to connect with them. Buyers who call within 5 minutes increase their chance of reaching the customer by 500%. But despite these stats, many lead buyers are still slow to respond. A recent study suggests that 37% of buyers contact their lead within an hour. An astonishing 23% of companies never responded at all! Being fast with the real time leads is important but it's also important to follow up on old leads as well. Only 5% of leads will convert right away while the other 95% will need time to mature. In the end, 40% of leads will buy eventually. Being persistent and contacting a lead multiple times will increase your chances of a sale. 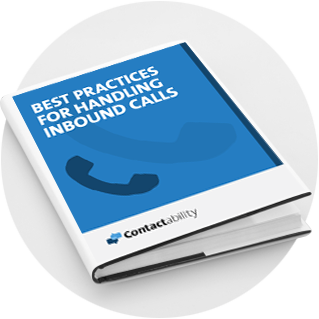 Making two calls versus one increases your chance of contacting that lead by 87%. Shockingly, 50% of leads are never called back a second time. Don't sit around and let these leads go to waste. Nurturing these leads will pay off because eventually these prospects will be ready to purchase. And you will be the agent to win their business because of the multiple attempts made on these leads. At Contactability, we offer Real Time Dialing and On Demand Dialing. Our On Demand Dialing will be useful to our agents who have old prospects or direct mail marketing campaigns we can contact on their behalf. Buyers that nurture leads effectively close 300% more sales than their competitors who fail to take a long-term view of prospects. So How Does Contactability Work? 1. All of your lead sources are funneled into our system and immediately verified for accuracy. 2. Our system dials the lead and attempts to make a connection. Once contact is established, the call is transferred directly to you. Even our consumers are surprised by how fast we call them. 3. Our own representatives manually redial your leads multiple times if no contact has been made. Live transfers and call back appointments are set on your behalf. 4. Bad or incentivized leads are either re-engaged or marked as bad. Leads that can't be reached on the first dial attempt will be followed up by our team of representatives using the most intelligent algorithms based on years of experience working internet leads. Every lead will be processed and worked diligently on behalf of your agency. From the moment your lead enters our system, we will track the activity and make sure that contact is made on valid records. Each call attempt will be dispositioned so that you can see what date and time these calls were made. 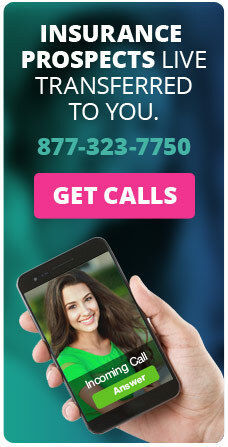 If you are busy or unavailable when we have a Live Call, our representatives will schedule a call back for you. When you have a scheduled appointment coming up, you will also receive an email and call reminder. You'll be able to track each lead and compare the ROIs of various lead sources. Review your progress and get full transparency on each lead! Persistence and speed are the name of the game. We know that sometimes it is not possible to do all this on your own. Let us do all the heavy lifting for you and your agency. We'll do the multiple call attempts within seconds of the internet inquiry, allowing you to get the prospect on the phone while they are still in front of their computer. We're confident that you will see your contact and closing ratios increase quickly with us. If you're interested in learning more about Contactability, please give us a call at 877.323.7750. Happy Selling!